It is very difficult to find the best MAT study guide for your particular situation. The exam has many different options for test prep books, from many different companies. 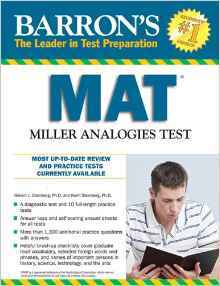 The MAT, Miller Analogies Test, is a very difficult test, and has a huge say on your future. 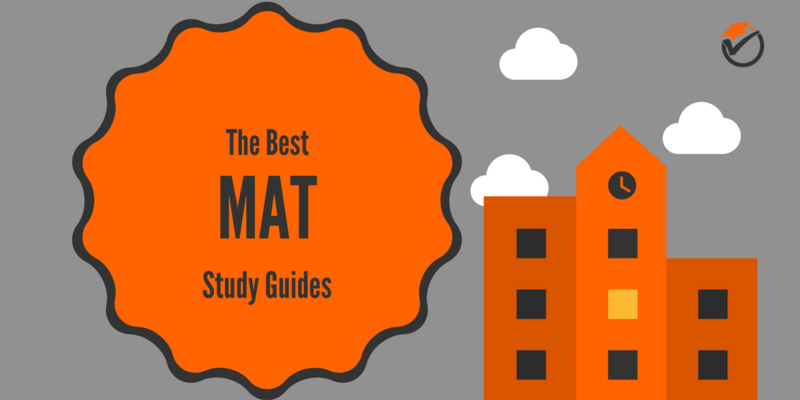 Because of these reasons I have created this list of the best MAT study guides. All of the info below should make it very easy to choose which review guide is right for you. Ready to see our list? 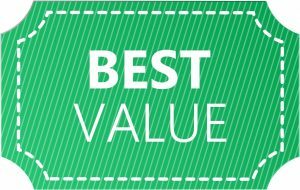 Barron's MAT is our number 1 best overall and best value prep book on our list of the top rated MAT study guides. One great positive about this book is the gargantuan amount of practice test and problems contained within. This prep guide has more practice tests and problems than any other prep book on our list. The sample problems and practice tests are also very “exam-like”. You won’t be surprised on test day by questions that seem unfamiliar or that you have never seen before. Familiarity breeds success and Barron's certainly helps with improving your test score. Also included within this prep guide is a number of vocabulary checklists. These checklists are very useful on learning the different terminology that is used on the test. Unlike other tests, this exam is very dependent on you recognizing structure and meanings of words so that you can use that knowledge to answer all of the analogy questions. Barron's certainly helps you along on identifying all the language that you need to know for the exam. The one main flaw of Barron's is that it includes some graphical errors and typos. These errors are sometimes distracting while you are studying and come across them. The may leave you scratch your head in confusion because the text says one thing but it really means another. Although with this one flaw, Barron's has many strengths. Because of this we rank Barron's as our number 1 best overall and best value prep book on our list of the best prep guides. 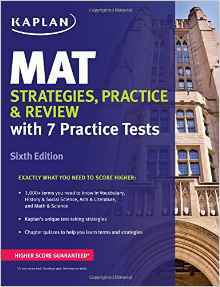 - Practice tests and questions are very "exam-like"
Kaplan MAT Strategies, Practice & Review is our 2nd best overall prep book on our list of the top MAT preparation books. The main strong point of this prep book is its in-depth and thorough concept review. This concept overview really goes into deep detail on the subjects, allowing you to be confident that you have covered everything that you need to know for the exam. There are also tons of tips and strategies for the different questions on the exam. As you very well may know, the test writers will try to trip you up on test day, but these tips really let you slip past their tricks. Another inclusion that is great with this prep book are the root word reviews. Root words are the segment parts that make up a larger word. Knowing these is very useful because it allows you to decipher the meaning of a word even if you do not know what it means. The test requires a lot of vocabulary knowledge and root word strategies allow you to make highly educated guesses, thus increasing your score on the exam. Although this prep guide has plenty of practice tests and sample questions, some of the questions are not very “exam-like”. You may be flustered on test day by questions that seem unfamiliar or that you have not seen before. Even with this one flaw, Kaplan's has many strong points. Because of this we rank Kaplan Strategies, Practice & Review is our number 2 overall prep book on our list of the best guides to prepare for the MAT. 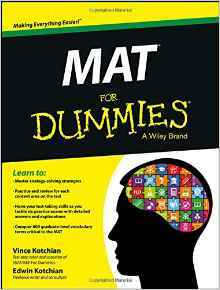 MAT For Dummies is our 3rd best overall prep book on our list of the top rated MAT review guides. This prep guide does many things the other guides on our list do such as giving in-depth review and multiple practice tests and explanations. But Dummies also goes beyond just review and gives you helpful tips and strategies to prepare you for the exam. These tips are very useful for making sure that you are not flustered or tripped up for the exam. Since you will be confident that you are fully prepared for the exam, you will not have test day anxiety, thus increasing your score. Dummies is a jack of all trades prep guide. Even though Dummies does many things well, it doesn’t necessarily do anything great. The subject review is alright but it is not as in-depth as other prep guides on our list. Also some of the review questions have some typographical errors that distract from your studying. Even though Dummies is pretty decent, it does not stand out like the other guides our list. Because of this, we rank MAT For Dummies as our number 3 overall prep book on our list of the best review guides. 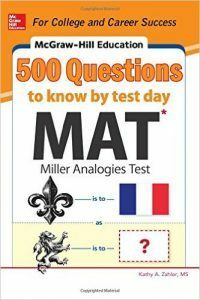 McGraw-Hill 500 MAT Questions is our number 4 best overall prep book on our list of the top MAT prep books. This prep guide focuses a lot more on practice questions and tests rather than in-depth subject review. Because of this, McGraw-Hill's has a ton of practice questions within. These practice questions also have great answer explanations. With these answer explanations you can really learn from your mistakes, thus increasing your score on the exam. The sample questions and tests are also in a great format and well organized. This layout really allows you to pick up the book for short periods and get a quick cram in; perfect for in between classes or coming home from work on the train or bus. Obviously, since McGraw-Hill's focuses solely on practice questions and tests, there is no in-depth theory overview. If you’re looking for a guide that goes over the concepts through the different subjects of the exam, you may need to pick up a supplemental guide. If you’re just looking for practice questions, this preparation guide would be great to pick up. 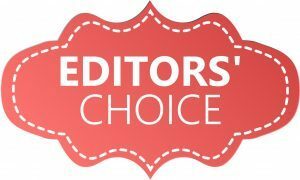 We rank McGraw-Hill 500 MAT Questions as our 4th overall prep book on our list of the top rated MAT review guides. 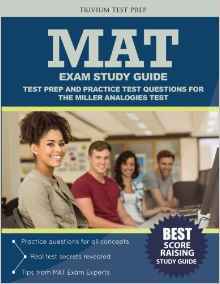 MAT Exam Study Guide is our number 5 best overall prep book on our list of the best MAT study books. At only 68 pages, MAT Exam Study Guide is the shortest book on our list. Although this short length may give this guide some flaws, it also gives it some strengths. The review is concise and to the point, it does not waste your time. This prep guide covers all the concepts that you need to know for the exam and does not cover the concepts that you do not need to know. There is no fluff contained within this book, there is just straightforward information that you will need for the exam. Even though its short length gives this prep book some strengths, it also gives it some flaws. There is no in-depth concept review and this guide only contains one practice test. If you’re looking for more practice tests or a comprehensive theory overview, you may need to purchase a supplemental guide. Because of this, we rank MAT Exam Study Guide is our 5th overall prep book on her list of the best prep guides to prepare for the MAT. Just buy Barron's MAT. It is the top guide on our list and none of the other guides offer a great price compared to this guide.